This is a great Bachelor Cooking side dish that will dress up any meal. Plates look good with some color, so use this side to help make your main entrée look great. 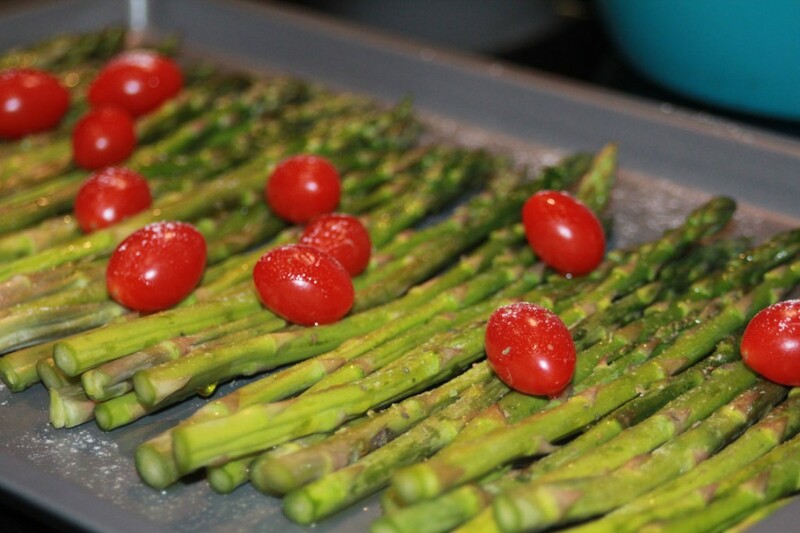 Chop the lower 1.5 inches off the asparagus (that part isn’t good for eating) and layout on your baking dish. 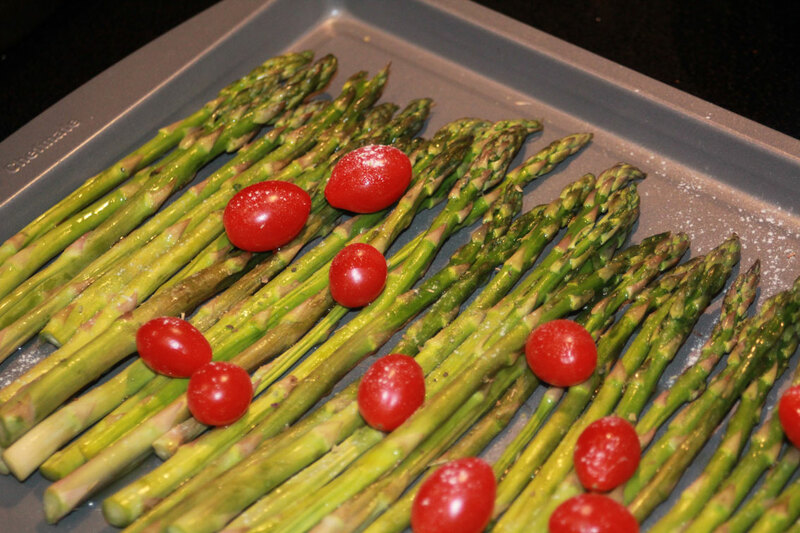 Drizzle the olive oil over the asparagus–don’t soak them, just a light drizzle. Throw the tiny tomatoes on top randomly. Pour a healthy amount of salt on top (to taste). Smash the tomatoes when everything is finished cooking–otherwise you may burn your mouth when you bite them. Asparagus makes your urine smell funny. Add more salt to make them tasty.